Only 92 F today. Rain in the morning. The winter rye, seeded last Wednesday and watered 5X on each of the four days since, has sprouted in thousands of tiny shoots all over our yard. Just a week ago it was 107. In that intense heat, drivers are impatient … no, intolerant of tiny mistakes. Someone not watching the light turn green will get a honk. And then another. And then a long one that elicits a one-finger salute in return. Road rage, however, is usually played out inside each air conditioned cocoon with windows tightly shut against the heat. Getting out of the car means getting into that heat, something that is just not done if there’s any choice. But even inside, you feel the infrared pouring in through the glass. Every Arizona car has dark tinted windows. What it hides, that angrily jabbed middle finger, those ugly words, are vented unseen. Or, when such movements are vaguely glimpsed through the dark glass, they are dismissed as expected, understandable, and best ignored. It happens. Move on. Nothing unusual to see. 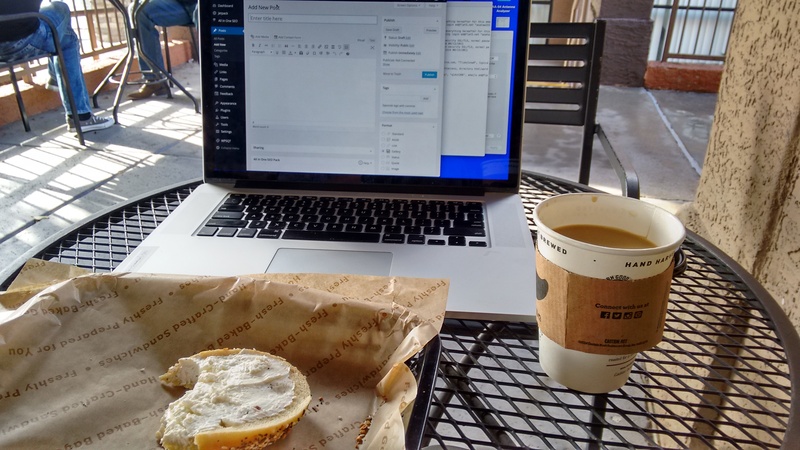 When it cools, though, habits begin to dissipate. While car windows remain shut and air conditioners continue to blow overly-cooled air, the patter of this morning’s on-again, off-again rain shower mixes with the shush of passing wheels on wet 7th Street. And the occasional cool breeze raises the hairs on my arms and legs stirring the thought of blue jeans instead of shorts. All these things begin a sea of change. Day-dreamers are permitted a few extra moments of reverie in the left turn lane. House windows, clamped shut for the past six months, open to admit fresh air and humidity that, later in the day, will have to be condensed out of the house as the air conditioner kicks in as the day warms. 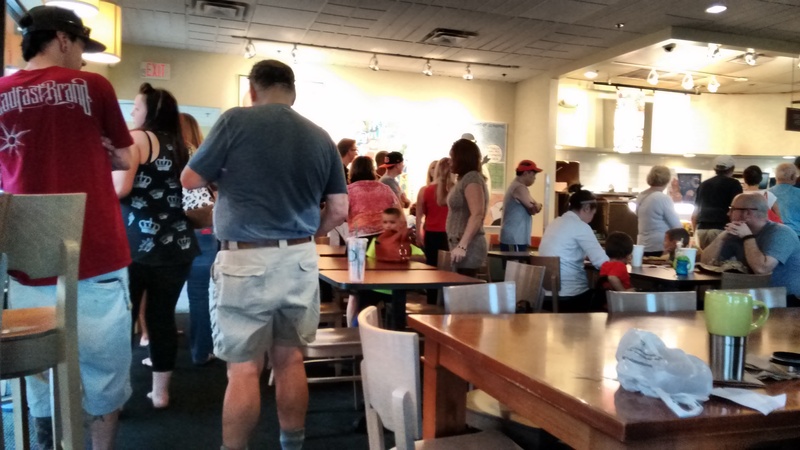 Inside Einstein’s Bagels this Sunday morning, the line for breakfast sandwiches and coffee is unusually long. Summer’s survivors, like the blades of rye grass in my front yard, rediscover the out of doors.